Video featuring photos from this production. 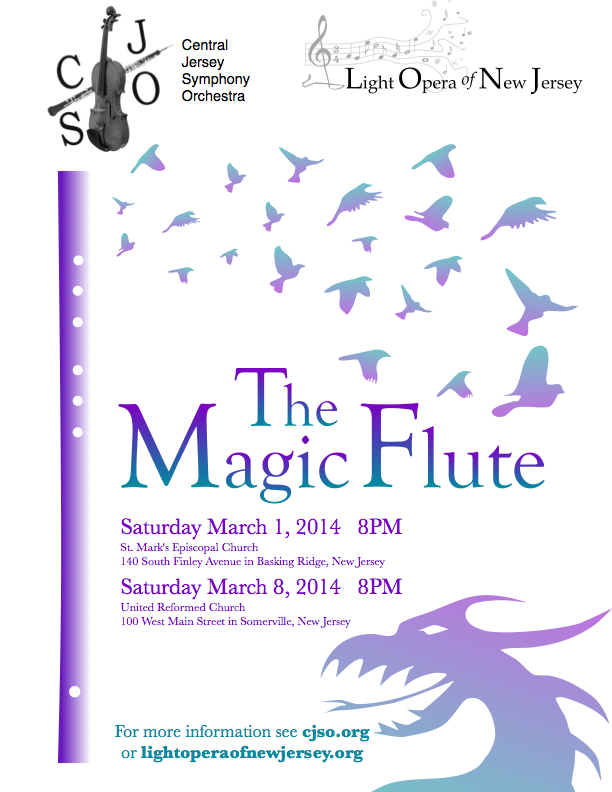 The Magic Flute will be a semi-staged production in English presented by the Light Opera of New Jersey in collaboration with Central Jersey Symphony Orchestra. Additional information can be found at www.cjso.org or www.lightoperaofnewjersey.org. The Central Jersey Symphony Orchestra (CJSO) joins forces with The Light Opera of New Jersey (LONJ) this coming March, presenting one of Mozart’s most famous operas, The Magic Flute. Mozart’s incomparable music portrays Prince Tamino fighting wild animals and the elements to win Pamina’s hand, while the silly bird-catcher Papageno seeks a wife and the Queen of the Night battles for moral supremacy with High Priest Sarastro. CJSO was founded in 1970 with a mission of enriching the community by inspiring a love of music through exciting performances and educational outreach. The orchestra presents a rich repertoire of classical music, including contemporary works and works of lesser-known composers. CJSO is committed to presenting the works of New Jersey composers and regularly features New Jersey soloists. 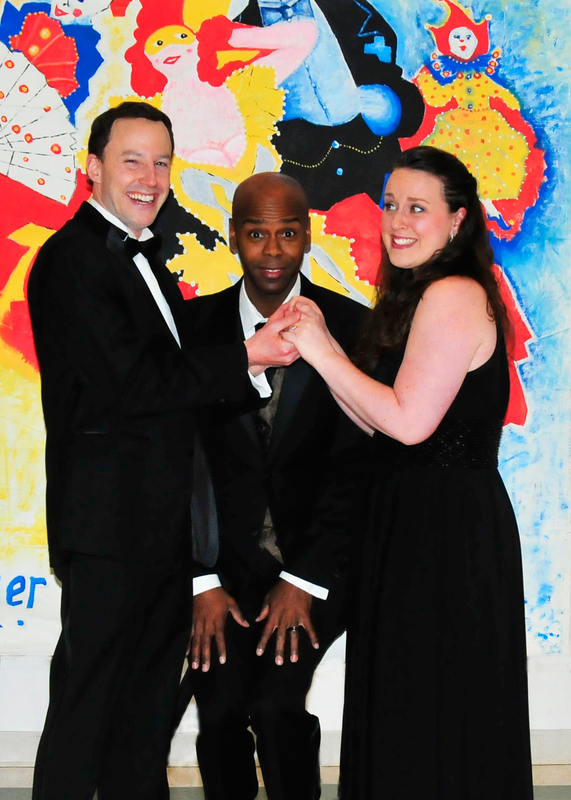 LONJ, (formerly Ridge Light Opera of New Jersey) performs a wide variety music ranging from Mozart operas and Gilbert & Sullivan operettas to musical theater classics like My Fair Lady and Carousel. The company includes professional singers as well as highly skilled amateur performers and is based in Basking Ridge, New Jersey. This production will feature a complete cast of professional singers alongside the renowned sound of the Central Jersey Symphony Orchestra. Ensemble of Priests,Slaves,Amoured Men etc:….